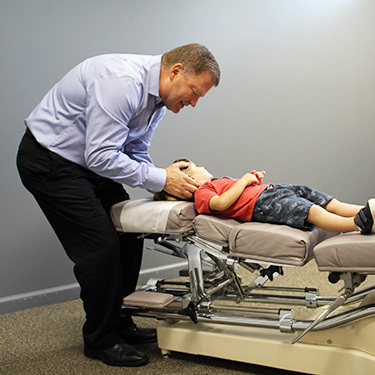 Why Should You Choose Stuckey Chiropractic? With over 30 years of experience, Dr. Stuckey has been very successful at treating many different types of conditions. In addition to being a Doctor of Chiropractic (D.C.), he is also a Fellow of the Acupuncture Society of America (F.A.S.A.) and a Certified Chiropractic Sports Physician (C.C.S.P.). He attends continued education classes on a regular basis. We will help you feel better and stay better, because we address the cause of your pain, instead of just treating the symptoms. We offer care for your entire family – no one is too young or too old. Every week we help hundreds of people live with less pain and get them back to their normal routines. We can help with pain wherever you feel it – not just in your neck and back. We offer a variety of products including cervical pillows, custom shoe orthotics, cold gel packs, vitamins, and supplements to help complement your adjustments and keep you feeling good between visits. We will take your finances into consideration and have your best financial interest at heart. When you stop into our office, you’ll notice that we know your name and why you are here. We truly care about your health and well-being. For general wellness and disease prevention. To improve your immune function. To improve your memory and concentration. To improve your overall health. To improve your athletic or sports performance. To help reduce your stress level. To help you cope with health problems. To give you control over your own health. To help you feel better emotionally. To improve your relationships with others. To treat injuries without medication. To improve your balance and coordination. To improve your attendance at work or school. You are in good hands. We are here when you need us and offer same day appointments. Call today and see for yourself how Dr. Stuckey can help you live your best life!